Turkish officials have met a local delegation in Idlib Province, hoping to maintain the demilitarized zone in northwest Syria amid almost two weeks of attacks by pro-Assad forces on the town of Jarjanaz. The pro-opposition site Nedaa Syria said Wednesday that the meeting was at Turkey’s observation post in the Sarman area. Citing a “Turkish officer”, the site said the Assad regime and Iranian-led forces were blamed for defying the Russian-Turkish agreement for the zone. The officer allegedly said that the Turkish military does not oppose “painful” retaliatory attacks on pro-Assad sites to deter further bombardment. Pro-Assad units have been periodically shelling the periphery of the zone. Pro-opposition sources claim 25 people have been killed and dozens wounded in the Jarjanaz area. Russia and Turkey declared the zone on September 17. The buffer area between opposition and regime territory is 15 to 20 km wide and 100 km long around Idlib and northern Hama Provinces. Despite the pro-Assad attacks and clashes in northern Hama and northern Latakia Provinces, the zone has held. Turkish President Recep Tayyip Erdoğan said last weekend that Russia had “voiced some uneasiness” because of the jihadist bloc Hay’at Tahrir al-Sham, but maintained that there was “no serious problem”. Ankara is hoping to use rebel factions and political pressure to push back HTS, including defection of its fighters. The bloc took control of part of Idlib Province in 2017 after a battle with the rebel group Ahrar al-Sham. 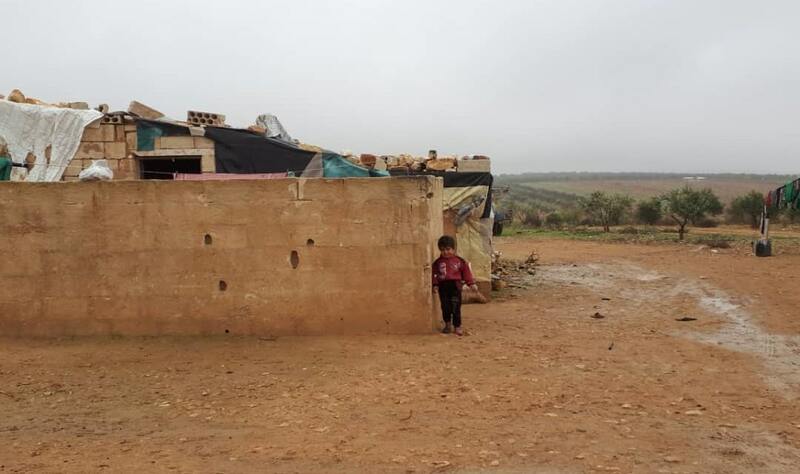 Abu Hamdu of the White Helmets civil defense said about 650 people in 125 families have moved to makeshift camps on farmland, as temperatures drop with the approach of winter. Muhammad Ayoub, a member of the local relief council, said thousands of civilians need emergency aid and supplies, but aid organizations are reluctant to enter the demilitarized zone because they fear bombardment. It feels like a prison here. I really hope to return, but I don’t think [I will], since the bombing isn’t stopping and the regime isn’t sticking to any agreements. [For them], it’s more about striking at any time.